Does the Recipient Have to Pay Inheritance Tax If You Have a Transfer on Death? When an individual passes away, those responsible for settling his estate are often faced with federal and state taxes. There may be estate taxes or income taxes, as well as inheritance taxes. Each tax is imposed for different reasons and may affect a particular estate. Depending on the state in which you live, if you receive property from a deceased individual through a transfer on death account, you may be responsible for an inheritance tax. An inheritance tax is a tax imposed on a beneficiary when she receives property from a deceased individual. The inheritance tax should not be confused with an estate tax. An estate tax is levied, by the federal government and some states, on an estate whose gross value exceeds a certain amount. An inheritance tax is imposed on the beneficiary who receives property from an estate. There is no federal inheritance tax, and some states, such as New York, don't impose such a tax. Those states that have an inheritance tax differ on the rate of the tax, and on whom the tax is imposed. For instance, in Kentucky, the amount of the tax depends on the value of the property and the relationship of the recipient to the deceased. 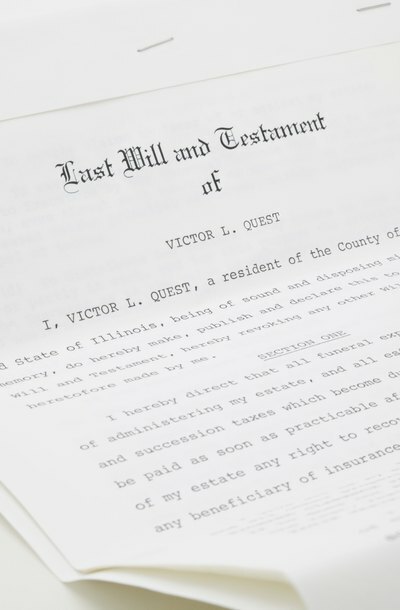 Often, the deceased might have made provisions in his will that the estate should be responsible for any inheritance tax, rather than the tax passing to the beneficiary. Many individuals use the transfer on death, or TOD, to pass financial accounts outside of probate. Probate can be a costly and lengthy process that many individuals seek to avoid. While TOD designations are useful for avoiding probate, they do not avoid taxes. If your state has an inheritance tax, and you are the beneficiary of a TOD account, you will likely be responsible for an inheritance tax. However, you may not be responsible for the tax in some cases or you may taxed at a lower rate by virtue of your relationship to the decedent. For instance, in Pennsylvania, the surviving spouse and children under the age of 21 pay no inheritance tax on property received from a deceased spouse or parent. Since inheritance tax laws are state specific, consult an attorney for information on the law in your state. One of the advantages to holding property in joint names is that it may avoid the probate process. In Pennsylvania, estates must pass through probate even when a decedent dies intestate, which means without leaving a will. The probate process moves ownership of a decedent's assets to his heirs or beneficiaries, so it's necessary when no other way exists to effectuate the transfer. When title vests with another individual automatically, as with some types of joint property, probate isn’t necessary. Disposition of the joint property when there is no will is often determined by how title to the property is held.